If you have come to read this article, you may be in a situation where you have lost or otherwise misplaced the key to your truck, car, or SUV. Searching for “car key replacement near me” is an excellent way to find out who the local locksmiths are in your area that specialize in vehicle locks and keys. However, while you’re in a situation where you do not have access to your key, this might be the perfect time to consider the best ways to secure your vehicle to prevent it from being stolen or having someone break into it to take your precious belongings. We’ll share some ideas for how to keep your vehicle safe at all times. If you are the owner of a car that is in high demand, it is worth considering the option of having an auto-theft recovery tool installed to assist you in the event that your vehicle is stolen. OnStar and other tools like it take advantage of GPS technology. This means that the location of your vehicle can be discovered and provided to law enforcement in your area. Many of these same tools also offer the option to disable the ignition of your car so it cannot be turned on or used. A signal can also be sent to your vehicle, with the help of police, to slow the car down slowly to get it back to you. This will sound like common sense, but leaving your vehicle running can easily result in having no car or SUV to come back to. Almost half of the thefts of vehicles can be avoided by doing the simplest things. One of those things is turning your car off anytime you aren’t actively using it. It might seem like a hassle at times, especially when it’s cold outside and you want to heat up the car and finish getting ready for school or work. However, even in your own driveway, it’s not uncommon for a care to be stolen. In truth, the statistics show that about a third of all vehicle thefts happen at or near the vehicle owner’s home. When you leave your car running, you are invited someone to jump in it. When you aren’t driving or at least behind the wheel, turn off the car for your own security. If you want to avoid having to call for a car key replacement near me, one of the biggest things you should avoid is leaving any expensive or valuable items in your vehicle. There are two reasons for this. The first is that leaving something valuable in the car where it is in view means that a would-be thief is more likely to attempt to gain access to the interior of your vehicle. The second is that if someone does manage to break into your car and takes off with it, you’re out not only a vehicle but whatever was in the car itself. While you might assume that by valuables we mean your laptop or smartphone, that isn’t entirely true. Sure, those things should not be left in your car, but neither should loose change or other small things. If you need to leave something in the car, at the very least make sure you lock it up in your trunk. However, the best practice is not to leave it there in the first place. If you’re looking for “car key replacement near me,” this tip might be putting salt in your wound but it’s still important to consider. In the event that your vehicle is stolen, and you go to the police to file a report, you can expect to be asked if you have all existing keys for the car. Even putting a spare key in the wheel-wall isn’t suggested, simply because many would-be thieves know about these common locations and are going to look there first. While nobody wants to be in a position of calling up the locksmith to get into a car that you are locked out of, it’s far worse to find out your car has disappeared into thin air. This is also why another recommendation is not to loan out your keys, or if you do, get them back as quickly as possible so they don’t end up in the wrong hands. An anti-theft device can not only keep strangers from gaining access to your car but can also offer other benefits. Nearly half of the automobile insurance companies out there are now providing a discount to your premiums when you have one of these devices. The insurance companies are aware that these devices make it much less likely that someone will run off with your truck. In most cases, a thief is going to step away from a vehicle that would be difficult to get into. It requires less time and effort to choose a car with fewer security features. Don’t be an easy target, make sure your car would be a pain to get into. A physical device made for avoiding theft like an immobilizer system is one of the best investments you can make. This is especially important if you live in Texas, California, or Florida, as those states experience the most vehicle thefts. However, regardless of location, finding out your options and installing a device can save you from future headaches associated with a car theft. When you choose to pack your car in a dark alleyway or far away from the entrance to a building, it is more likely that someone is going to break in or steal it. Make sure that, whenever possible, you park your vehicle somewhere that is well-lit. This is an easy way to deter potential criminals. It’s also an excellent idea to park close to the entrance of buildings. Not only will it be more likely someone sees when something is out of order, but there are often security cameras posted there for extra protection. You might think that a parking garage is a fairly safe parking environment, but this varies based on location. If the garage is isolated and has no cameras or attendants, someone could still try to break in. Look for protected locations and be vigilant about where you leave your car. It’s simple and it may seem that it doesn’t need to be said, but every time you forget or fail to close and lock your windows and doors is a situation where someone could steal your car or anything that is inside of it. This is a basic tactic, but it can also be easy to forget or overlook. While it may mean your vehicle is a bit hot when you get back in during summer months, being uncomfortable for a few moments is better than finding out your car is gone. This is an important thing for all drivers to know, so if you have younger drivers in your home, make sure you make them aware of this, as well. With billions of cars stolen in the USA every single year, it’s important that you keep your vehicle from being a target. Most stolen vehicles are never recovered, and you don’t have to have a shiny new vehicle to be the target of a theft. Sometimes thieves will take off with them just to take them apart and get to the expensive components. In other cases, a car may be stolen to be used to commit some other crime. Whether you have an SUV manufactured this year or a truck that is a decade old, you still could have your car stolen. Thankfully, there are numerous devices that can help protect you. Everyone knows what a car alarm is and if you live in a large city, you probably hear a few go off every day. This alarm will go off when someone opens a car, breaks a window, or attempts to start a car without deactivating the alarm. Some alarms are turned off when a key fob is nearby while others require a code to be input. What is great about a car alarm is that it alerts anyone nearby that someone is trying to get into your car. This can make a thief more likely to move on to another vehicle, rather than dealing with the hassle of yours. However, vehicle alarms often go off by accident, which makes them less helpful. Many people ignore the sound of an alarm. With a lock bar, the device slides over your steering wheel and holds it in place. That means a thief who tries to take your car cannot steer. This device is often made of a durable metal that is difficult to saw through. When you take it off of your steering wheel, it will fold up, so you can place it under your seat or in the trunk for storage. Most lock bars are fairly inexpensive and are simple to use. That said, some people find using the lock bar a bit inconvenient, so it may not be right for everyone. In addition, a thief who is skilled can remove the bar with the right skill set. As with the other items suggested here, a vehicle kill switch may be purchased from a locksmith. So, if you’re getting that “car key replacement near me,” you can also choose to select some security devices to prevent problems in the future. A kill switch is a device that can work with an alarm or on its own. If someone attempts to start a car when a kill switch is engaged, one of two things will happen. It either switches off the electrical system or it prevents the engine from reaching the fuel. The switch can be turned off by inputting a code or using a special plastic key. This device is excellent when someone gets into your car to prevent them from taking off with it. It’s also fairly inexpensive to purchase. The major disadvantage of this method is that if the switch malfunctions, nobody will be able to start the car until it is repaired. This is another option that is fairly inexpensive and is simple to use. It can also be a bit more reliable than a steering wheel lock bar, because removing it is more difficult. A brake lock is attached to the brake pedal and can then be locked whenever needed. This device is made of a strong metal, so it is troublesome to cut through for a thief. While the brake pedal can be cut, this will make it where the vehicle cannot be driven so it’s unlikely a would-be thief will do so. What makes this inconvenient is that it has to be placed each time you get out of your car. When you have a GPS tracking device, that means that if your vehicle is stolen, it can be tracked so it is easier to get back. Even placing a sticker on your car that states you have a tracking device can deter a thief since deactivating it is a lot of trouble and if it isn’t deactivated, the police will be shortly behind. The main issue with this device is that it is quite expensive and a fee to continue the monitoring. 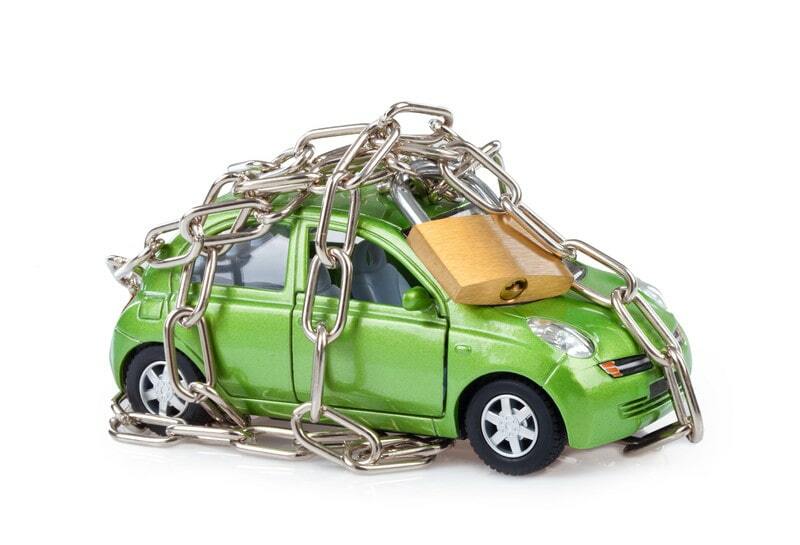 At this point, you should have the information you need to keep your vehicle secure and safe. If you want other options, ask your locksmith the next time you need a “car key replacement near me.” Whether you install a device or just use some of the safety tips, you will be better prepared and less likely to experience vehicle theft or other crimes.